Taking a good picture can be tricky at the best of times, and doing it with braces can be even more so. 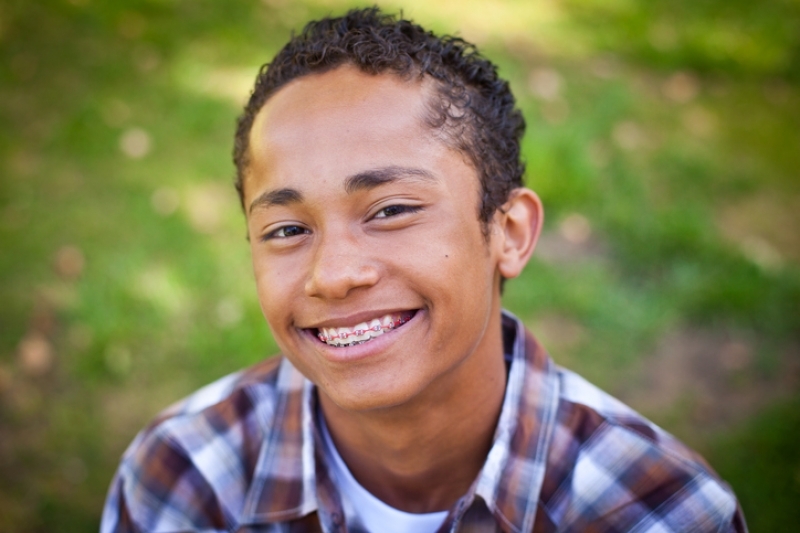 The following tips and ideas will help you take a better picture while wearing braces. If you're a candidate for Invisalign clear orthodontic aligners, the fact that you're having your teeth straightened will hardly be noticeable at all in person, let alone in pictures. This is because Invisalign are made of a virtually invisible clear plastic material. But even if Invisalign is not a good fit for your needs, there other less noticeable braces choices that won’t be as obvious in pictures as traditional braces would be. One good choice would be In-Ovation Self-Ligating braces. These are smaller than traditional metal braces, since there are no ties or elastics, and they therefore have a lower profile. The same goes for ‘translucent’ ceramic braces. The brackets on these are made of a tooth-coloured ceramic material that blends in well with the natural colour of teeth, so your braces look less noticeable. This option is more for people who choose to really embrace the braces look! The elastics that go on braces come in pretty much any colour of the rainbow, so you can choose a colour that suits you best. In other words, you can consider your braces as an accessory, and express your personal style with them! When it comes to having pictures taken, you can pick a colour that is flattering, and goes with your eye colour or skin tone. Choose darker coloured braces to make your teeth look whiter and brighter. It's usually best to avoid white braces, because they can make your teeth look a bit darker and more yellow in contrast. It's also advisable to avoid browns and certain shades of green, since they can make it look like food stuck in your teeth. Clean, sparkling pearly whites always look great, even if they have braces on them! Brush and floss often, and clean your braces themselves carefully to keep your smile looking its best. This will not only prevent cavities, gum disease and tooth discolouration, it will also help you avoid having pictures taken with food stuck in your teeth. At the end of the day, nothing is more attractive than a bright, confident smile. So own your braces, and don’t hold hesitate to smile in pictures. If you're feeling self-conscious when you first get your braces, you may find it helpful to practice smiling at yourself in the mirror. Or, you can try taking lots of selfies to practice smiling in pictures and to get used to how your braces look. And keep reminding yourself: you look great with your braces! If you’re interested in learning more about your options for lower profile or coloured braces, contact us at Coquitlam Family Orthodontics today.